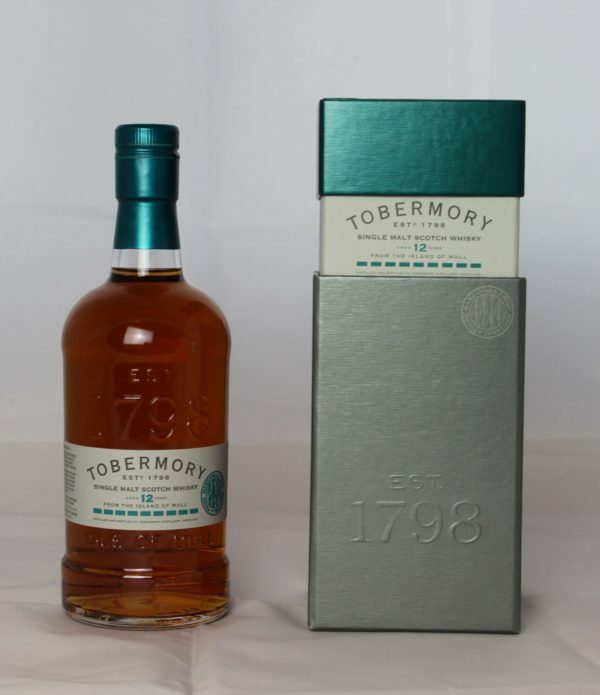 Tobermory 12 years Single Malt - Whisky4you Buy now! Tobermory 12 year old is a stunning Single Malt, sweet, rich mouth filling oils, orange dominated citrus note, raisings and sultanas and subtle dried fruit, with hints of coffee, dark chocolate and subtle spice. A wonderful taste experience of the Tobermory series collection. Tobermory 12 years Single Malt is a wonderful member of the Tobermory collection series. In 2016, this 6-part Tobermory series was launched, which should be donated by 2018. Each piece is accompanied by a perforation belt brochure. 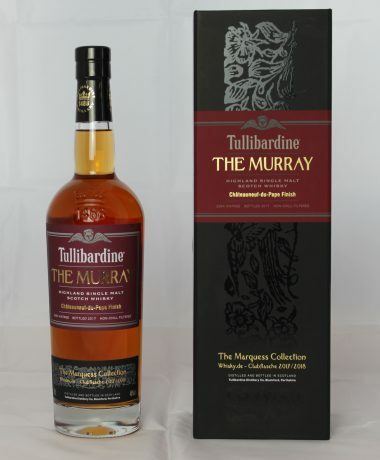 Who has all 6 different lanes together, has the opportunity to win a bottle of exclusive 42-year-old Tobermory. 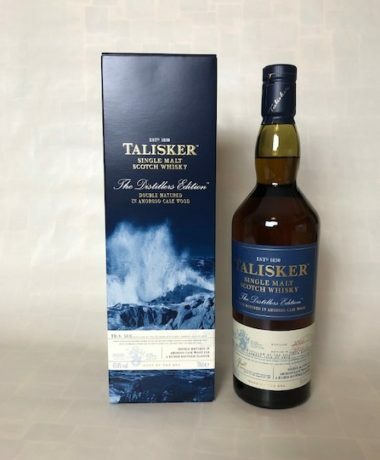 After the 18 and 20 years old bottles, comes now also 22-year-old with port wine finish and this special 12-year-old one with a maturation in Manzanilla Sherry casks. Established in 1798, Tobermory is the only distillery on Mull island and one of the oldest commercial distilleries in Scotland. 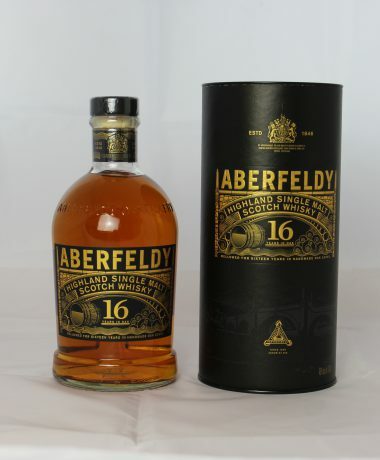 It is unique, not just because of its idyllic location, but because it produces two different, but equally alluring, single malts: the fruity, unpeated Tobermory and the more robust and smoky Ledaig. Centuries have passed, but their uncompromising tradition, dedication and devotion have remained. Tobermory 12 years Single Malt is a wonderful taste experience, complex, very fruity and oily, perfectly matched to the alcohol content of 46.3%, creamy mouth filling, both sweet and sour notes of orange and honey, then tingling impression on the edge of the tongue, slight ginger and chili sharpness, very slow transition to the delicate bitterness of a dark chocolate candied orange peel. Beautiful, soft, long finish, hardly any tannins, skillfully balanced with the soft wooden notes, not too bitter, yet spicy, dry at the end. Remaining a touch of dry berries on the tongue. The filling is not chill filtered and not colored. 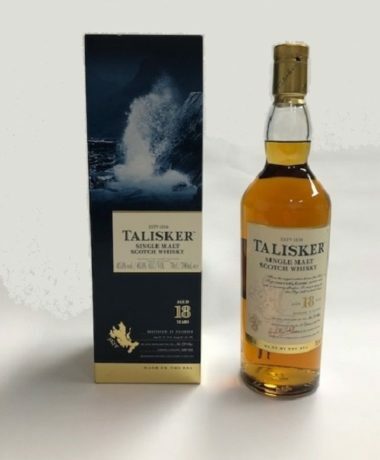 Have a view at our tasting videos and enjoy the background articles in our blog “All about Whisky“.